The new Golf Cabriolet has striking front end which provides more than just a hint of sportiness. A glance at the headlights and turn indicators under the same clear-glass cover and the door mirrors with integrated turn signals give an indication of the dynamic character of the new Golf Cabriolet. The same is true of the streamlined silhouette, which the stylish, fully automatic fabric hood blends into perfectly. The decorative hood trim strip in chrome rounds off the overall sporty picture. 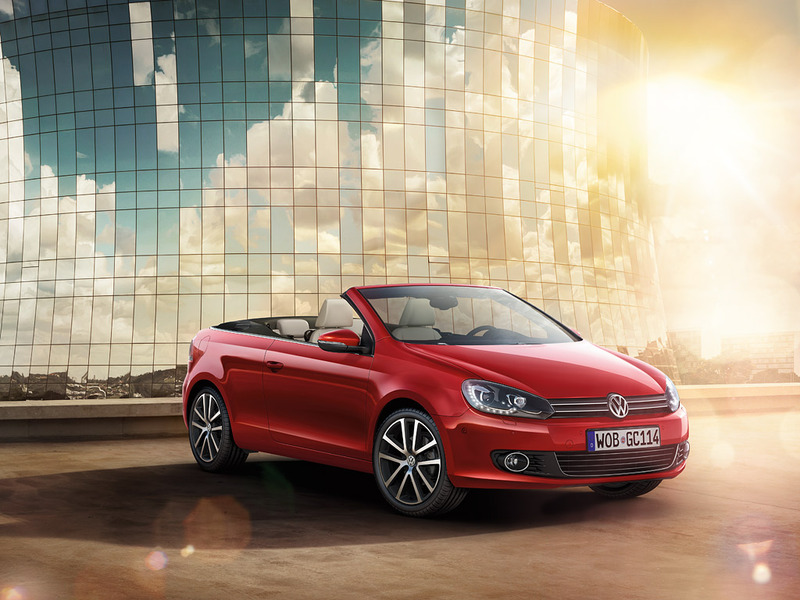 It takes less than ten seconds for the fully automatic, electro-hydraulic fabric hood on the new Golf Cabriolet to open – and for you to savour the ultimate cabriolet driving experience. The hood is opened simply and fully automatically at the touch of a button, at a speed of up to 30 km/h. The wind deflector reduces annoying wind noise during the journey and at the same time protects you from unpleasant draughts around the neck. 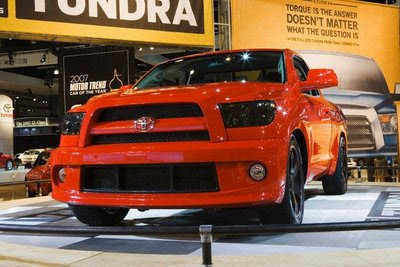 This concept vehicle is based on the all-new Toyota Tundra.